Not many birders make it down to southeastern Costa Rica. Although the towns of Puerto Viejo de Talamanca and Cahuita are major stops on the backpacker circuit, you don’t see many people walking around with roof prism, light-gathering optics. Birdwatchers are a rare sight in the southeast because they get their Caribbean lowland fix at La Selva and other sites in the Sarapiqui region. I can’t blame them for rarely straying south of Guapiles. 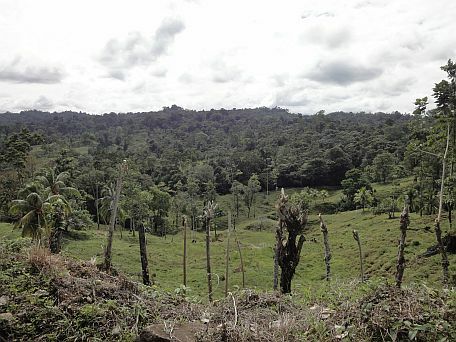 I mean even if La Selva has lost a bunch of understory species, it still is the Caribbean lowland birding site that is closest to San Jose and fits nicely into Costa Rican birding itineraries that also include a visit to Arenal. Since other birders rave about the Sarapiqui region in their trip reports, why go anywhere else for Caribbean lowland species? Well, not that you shouldn’t visit Sarapiqui, but just because you read about the area in trip reports doesn’t make it the only site in Costa Rica for Caribbean lowland birds. It’s good birding around there for sure but it’s not as wild as the forests near Limon. While the port city itself isn’t exactly a booming birding destination, there are several, little known sites in southeastern Costa Rica that offer up some pretty exciting birding. I have talked about the great birding around Manzanillo in the past and always yearn to get back to that birdy lowland village. This past weekend, I got the chance to check out another exciting southeastern site and similar to my feelings about Manzanillo, I can’t wait to go back! 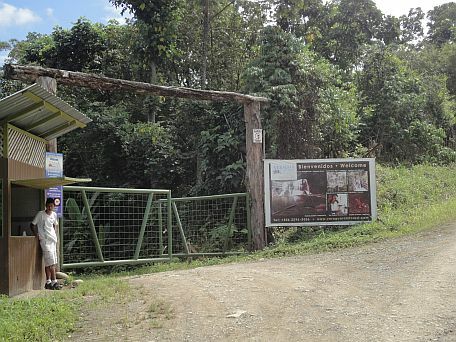 The place is a fairly new ecotourism and research project called “The Veragua Rainforest” and if you can go birding there, by all means, do it! Since the place opened, local birders have been raving about it. Excellent lowland forest, Sulphur-rumped Tanagers, awesome mixed flocks, and big birding potential. When I got the chance to participate in this year’s Christmas count, I jumped at it like a hungry antpitta hopping after a big, juicy worm. Not only would I get the chance to check out Veragua, but I also had the opportunity to get 600 species for the year. Plans were made, gear was packed, and on Friday morning, I drove on down with friends who were also participating in the count. Despite taking our time, stopping for coffee, running into road work, and doing a bit of birding on the way, it still took just 3 and a half hours to get there. If you drove straight to the place from San Jose and ran into little traffic, I bet it would be 2 and a half hours. As you leave the main highway to Limon, forested ridges and patchy habitat near the road can turn up a bunch of lowland species. Although the beautiful sunny morning resulted in little bird activity, on the day of the count, birds like Snowy Cotinga, Blue-headed Parrots, and Sulphur-rumped Tanagers were seen so that might give you an idea of the quality birding on the way in to Veragua. Scene from the road to Veragua. 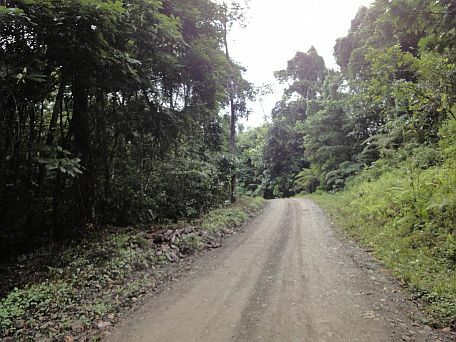 The road eventually went from asphalt to gravel and stones but it was still navageable by two-wheel drive vehicles. A guard greeted us upon arrival at the gate to Veragua. After verifying that we were there for the count, we drove on in to one of the better birding sites in Costa Rica. The entrance road passed through lowland forest that had been selectively cut at some time in the past. At a glance, it doesn’t appear to have affected the birding too much and I bet spending a day on this road would turn up a wealth of lowland species. How would you like to bird along this road? Marcos, one of Veragua’s excellent guides, showed us around on Friday. 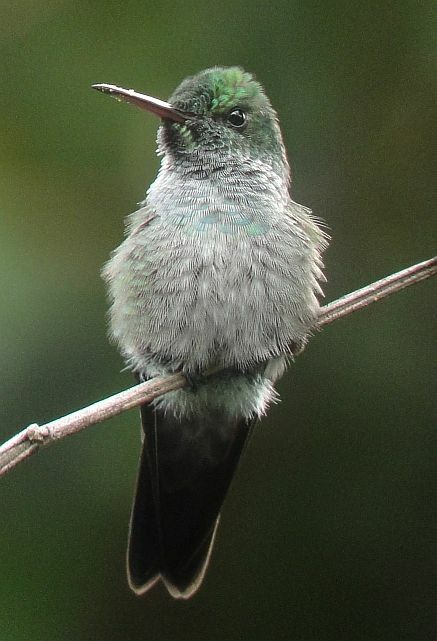 While waiting to take the tram down to the Rainforest Giants Trail, we hung around their hummingbird garden and watched several Blue-chested Hummingbirds in action. It was nice to be in a place where this species outnumbered Rufous-taileds. A Blue-chested Hummingbird posing for a picture. While waiting for our tram ride down into a beautifully forested canyon, we actually added a new bird to the Veragua list in the form of a flyover Wood Stork. King Vulture also made an appearance but the White and Barred Hawks that are often seen from the tram were no-shows. Down at the bottom, a boardwalk passes beneath massive old growth trees, heliconia patches that sometimes hold White-tipped Sicklebill, and flanks a rushing river. 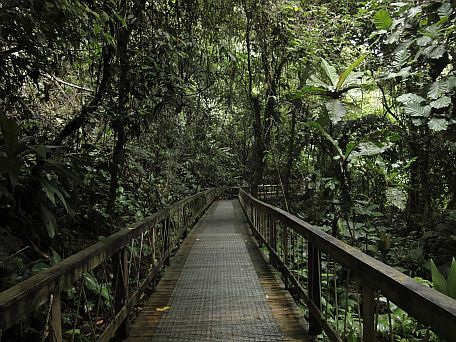 The excellent Rainforest Giants trail at Veragua. Although we didn’t find Spot-crowned Antvireo (a localized species in Costa Rica) a canopy flock of medium-sized birds entertained us from above. Montezuma Oropendolas, Scarlet-rumped Caciques, and a couple of Black-striped Woodcreepers foraged high overhead with a Cinnamon Woodpecker, tityras, Black-cheeked Woodpeckers, and the star of the show, White-fronted Nunbird. While this orange-billed, clownish creature has disappeared from many areas in Costa Rica, it’s still fairly common at Veragua. A few lucky birders in our group also managed to see an Olive-backed Quail-Dove. As the afternoon wore on, we took the tram back up to the top of the canyon and put the focus on mixed tanager flocks. A group of birds that frequents the trees around the reception was quickly located and several lucky birders got great looks at Sulphur-rumped Tanager. Incredibly, I missed that would be lifer despite looking in the same tree! I just happened to be scanning through several Plain-colored Tanagers when the Sulphur-rumped was seen and it took off before I could find it. Oh well, at least Rufous-winged Tanager was new for the year. Other new 2011 species were Chestnut-collared Swift and a very obliging Great Potoo that entertained count participants by calling from a spotlit perch near the parking lot. It’s apparently there most nights and might take advantage of the insects and bats that come to a lit-up moth sheet. After dinner, we received information about our routes, got our boxed lunches, and also got the news about breakfast. It would be ready at 3:30 a.m. and most of us were scheduled to leave by 4. I would be hitting the Brisas de la Jungla site with two other guys. The plan was to drop us off at 4:30 a.m. and pick us up at 4:30 p.m. A long day of birding awaited and it might include grueling marches through the humid lowland heat and clouds of mosquitoes. I had to be prepared by getting a good night’s rest so I hit the sack by 7:45 and tried to sleep.